As a small-business owner, you probably have a few favorite customers who spend a lot at your store. Depending on your industry, you may even generate most of your revenue from a handful of important clients. In addition to offering high-quality service and products that your customers have come to expect, what else can you do to make sure that your favorite clients keep coming back for years to come? While it might seem like too simple a solution, a heartfelt thank-you is one of the most effective things you can do to show that you don’t view your clients as walking dollar signs. Fortunately, January marks National Thank You Month and is a fantastic opportunity to embrace the spirit of thankfulness toward everyone you do business with. Does thanking customers really work? Small businesses often have such small margins for financial error that owners often forget to focus on the human side of interacting with customers. However, a recent study from researchers at Michigan State University found that a sincere show of gratitude has a big impact on consumers. Clay Voorhees, Ph.D., assistant professor of marketing at Michigan State University and lead author of the study, explored how timely responses to customer feedback can increase business. Voorhees and colleagues focused on an upscale restaurant that solicited diners to fill out satisfaction surveys after coming in. Within seven days of completing the questionnaire, all respondents were sent a personalized thank-you email from the head of the restaurant. Voorhees found that, among diners who submitted positive reviews of their experiences, the email from the restaurant director correlated with a 50 percent increase in repeat visits over the next calendar year. The average size of the party also increased upon successive visits. However, Voorhees cautioned businesses not to get too trigger happy with their thank-you emails. Immediate responses to the survey weren’t linked with any kind of increase to repeat visits, so take a deep breath before you tell your customers how much they mean to you – they just might think you’re lying. In the restaurant business, chefs and managers don’t necessarily need to form tight bonds with diners, but in industries where you need to lock down repeat customers just to stay solvent, an email might not be enough to keep your clients from defecting to one of your competitors. In these cases, you might have to pull out the big guns and send your top customers some high-quality personalized products. Set yourself apart from business that still send traditional thank-you notes with a custom promotional product that reflects your consumers’ interests. Do you have clients who always seem to have trouble staying organized? Myron’s Arlington Personalized Padfolio is a stylish and professional way to keep documents, pens, phones and even a wallet secure in a sleek package. This gift also features a large imprint area, so you can customize it with your clients’ names, your brand – if appropriate – and even a short thank-you note to drive the point home. 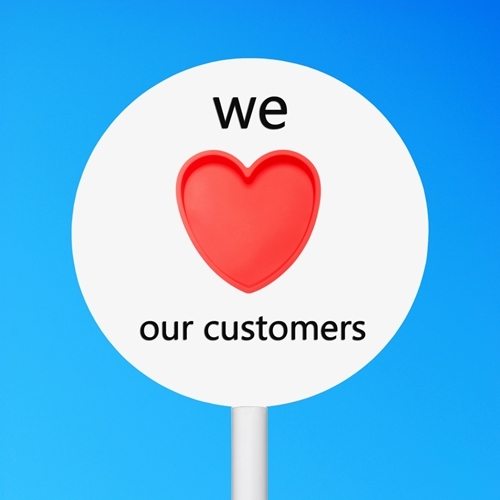 Just because January is National Thank You Month doesn’t mean that you can take the other 11 off from showing your customers they mean a lot to you and your business. Order enough promotional products today to make sure you can keep your clients coming back all year long.